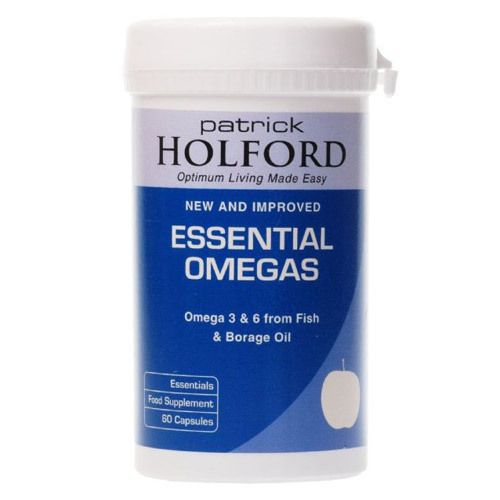 Essential Omegas contains a potent natural ratio of three fatty acids from fish oil, including DPA together with GLA from borage oil. Having the correct balance of fatty acids within the body is vital. Healthcare professionals currently recommend that you eat a couple of portions of oily fish every week as part of a healthy diet. Oily fish are a rich source of omega-3 fats which are important to heart health, but which are also involved in many important roles within the body. They are beneficial for the normal development of the brain and nervous system and the maintenance of healthy eyesight. They have also been shown to help maintain blood lipid levels, support the health of the cardiovascular system and help maintain the flexibility and mobility of joints. Omega-3 fatty acids are not the only important source of fatty acids. Seed oils such as borage seed oil provide omega-6 fatty acids which again have multiple health benefits such as helping to maintain healthy skin and hormones. 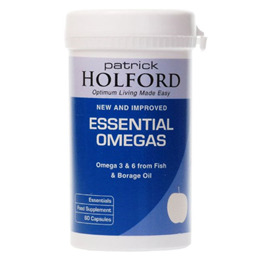 Omega-6 fatty acids may help support healthy hormones and assist the cardiovascular and circulatory systems. Fish Oil (PureMax™), capsule shell (fish gelatin & glycerol), borage oil, mixed tocopherols. Below are reviews of Essential Omegas - Omega 3 - Omega 6 - 60 Capsules by bodykind customers. If you have tried this product we'd love to hear what you think so please leave a review.